Bindays Support Project Kesher on its 25th Anniversary of Activism - Scarsdale Premier Insurance Agency | Advocate Brokerage Corp. 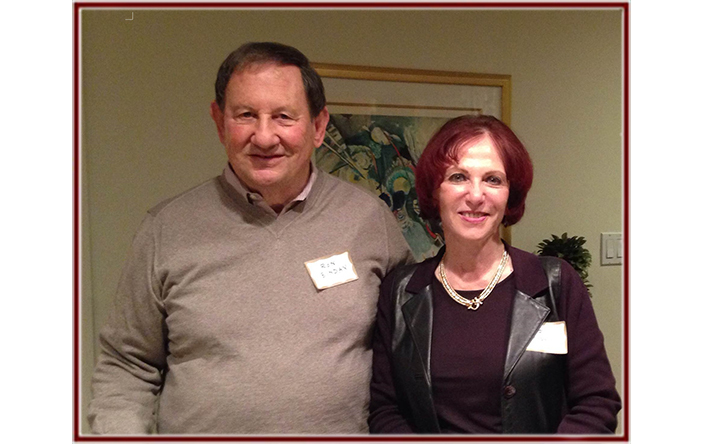 The plight of women in Russia and the former Soviet Union states was on the minds of Rosalyn and Ronald Binday, founders and principals of Advocate Brokerage in Scarsdale, as they traveled to New York City on Sunday, Nov. 23 to help commemorate the creation 25 years ago of Project Kesher, which seeks to transform lives through Jewish identity building and social activism. Project Kesher works with the estimated 1 million Jews who live in Russia, Central Asia and Eastern Europe. The Project’s focus is on women, educating them about Jewish history and the Torah texts to enhance their commitment to civil activism and raise their stature in lands which have long been home to them and their families, but which have also been traditionally hostile to those of the Jewish faith. Project Kesher, the fastest growing women’s advocacy and human rights organization in the region, is recognized as an important force for change in the region by national governments, governmental agencies, police departments, and health care officials. Women trained through its programs and backed by its peer support programs go on to staff Jewish community services throughout the region and to build multi-ethnic coalitions to address issues affecting women and girls, such as domestic violence, trafficking and women’s health. Project Kesher’s Global Day included meetings with representatives of Project Kesher from Russia and Ukraine, briefings from experts in the field, and tours of the Ukrainian Museum and other New York City sites important in Jewish history and culture.